Gibbs and Abby in the second episode of NCIS Season 11, "Past, Present & Future." 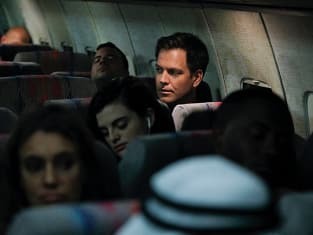 NCIS Season 11 Episode 2: "Past, Present, and Future"
SecNav Porter: Agent Gibbs, with your reputation, I expected Parsa to be disposed of long before now. So, do tell me, please: what sort of help am I not providing? Permalink: What sort of help am I not providing? Influence. Permalink: Tony. You are so... Handsome? Funny? What? Loved. NCIS Round Table: "Past, Present & Future"